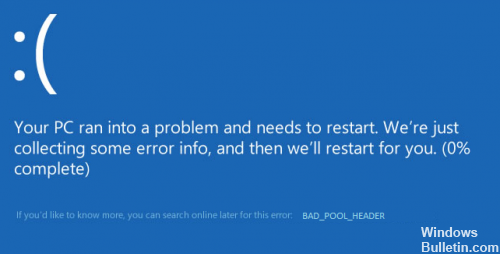 The Bad Pool header or you can say BAD_POOL_HEADER, both are the same BSOD errors that are also known for the error code “0x00000019”. If you have this problem on your computer, it indicates that the pool header of your Windows operating system has been corrupted or may have a problem. This error means that a process has entered the memory pool and failed to erase properly, corrupting the memory pool header. An error in the pool header can be easily corrected by rebooting the system. 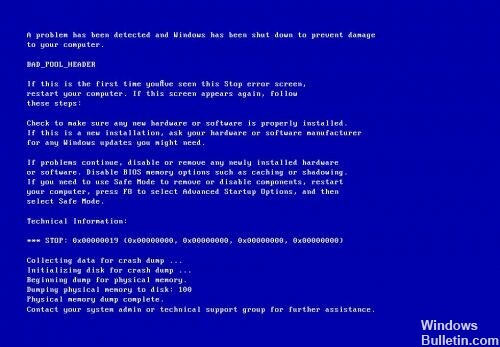 If the problem persists, you can use the methods listed below to correct the BSOD Bad Pool Header BSOD error. If you cannot access your PC normally, try these methods in safe mode. Disk Cleanup is a Microsoft utility that allows users to delete files that are no longer needed or that can be safely deleted. With this tool, you can easily delete all your temporary or unwanted Windows files, which can also be a good reason for this bad pool error. Find Disk Cleanup in the taskbar and select it in the results list. Under Files to delete, select all file types to delete all types of scrap. If the error is caused by defective RAM memory, check your memory using the Windows Memory Diagnostic Tool. Enter the Memory Diagnostics tool in the search box. Follow the instructions to start the diagnostic process. 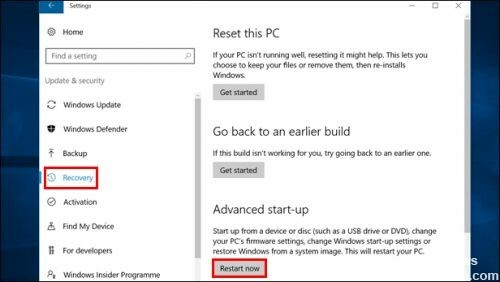 Turn on your PC or restart it. Before the Windows logo appears, pressF8. Select the Safe Mode Start Window option. The methods described above are the most common and simple ways to correct the wrong pool header error. If you need any help. Then write here by comment.